If you are someone seeking continuous improvement and progress in your life, stay connected in an environment of a supportive and accountable valued network of paradigm shifters. Get connected with great Mentors, Peers, and Mentees, empowered by the greatest Mentors of all, the Holy Spirit. The program supports you in being accountable for your ongoing life progress, while, most importantly, building the Kingdom of God. Every 3 months, you are encouraged to present 3 reports of your progress. Seeing your progress and growth is incredible, but the highlight of the year is watching how, as you go outside yourself, and surround yourself with like minded people, your influence for God is strengthened and further expands. • Personal development and growth using GOD Help; This Program is about Progress and Consistency. 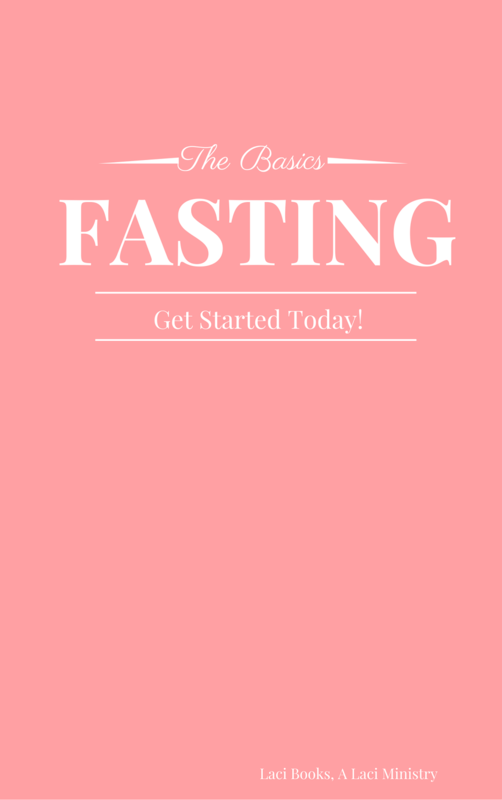 You are encouraged and supported to connect and be accountable on your ongoing spiritual and personal development progress. • Be a disciple and make disciples; Like Jesus did & taught us to go out and make disciples. • Add Value; You must be someone who is willingly to succeed outside of yourself. Its not just about fulfilling our purposes, but helping others fulfill theirs. Join us or be inspired to start a program of your own! *Note, This program is for Laci Club Members only. Click here to join the LACI Club. If your application successful, you will receive an interview offer. If you haven`t received any correspondence 2 weeks from the date of submission, please contact us at the above email address. If you are the successful, you will receive an acceptance offer. This may take up to 2 weeks from the date of your interview. 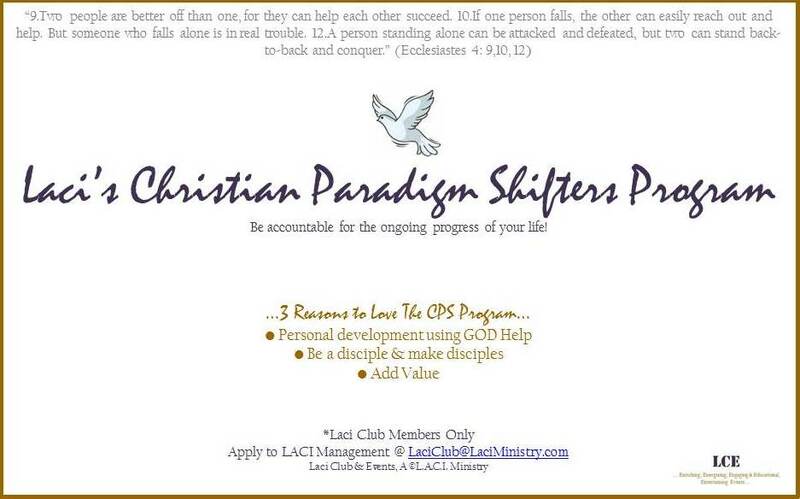 Welcome to The Paradigm Shifters Club. Complete the 2Hr 3 Step process; Mobilization, Orientation and Training and now you are ready get started! * Please schedule 2hrs/wk or 8hrs/mth to work on this program. You are encouraged to attend the quarterly meeting. An opportunity to build network with the other Paradigm Shifters. This is a sample system. Customize system to suit your styles, as long as a form of progress report is presented. • Laci`s Week Management App; runs 7 reports that help you have a productive and progressive week.